My Gym Partner's a Monkey is an American animated television series created by Tim Cahill and Julie McNally-Cahill and produced by Cartoon Network Studios. 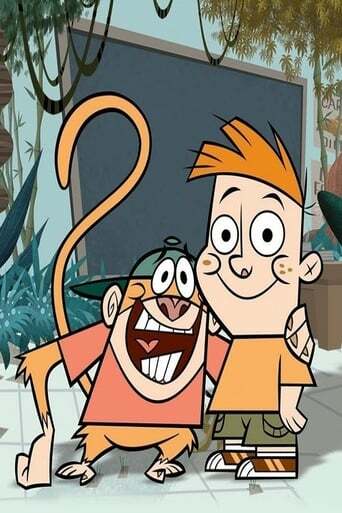 The story revolves around Adam Lyon, a human who, after a clerical error listed his surname as "Lion," is forced to transfer to Charles Darwin Middle School, a school for local anthropomorphic zoo animals, where he is partnered with Jake Spidermonkey in gym, with whom he quickly becomes best friends. d.